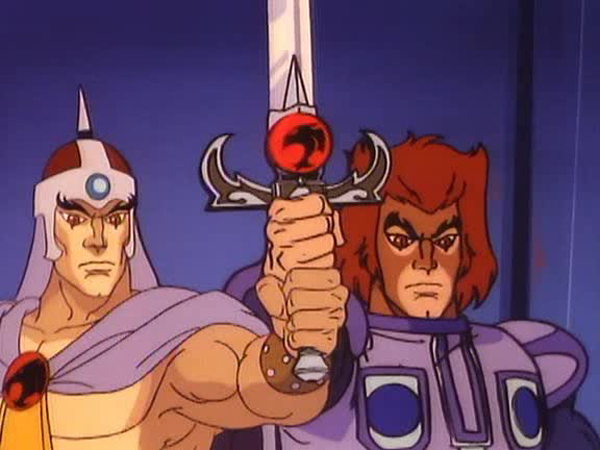 At first glance, Lion-O, the muscular, underwear-clad, sword-wielding chief protagonist of ThunderCats, seems like a typical children’s cartoon hero. However, a deeper look into his past reveals a rather tragic character. Before even reaching adulthood, he loses his home planet, his mentor, and his father. However, the writers cleverly alleviated some of the sadness by providing Lion-O with a new home, first in the form of Third Earth and then New Thundera, and also by bringing his mentor Jaga back to life, albeit as a spirit. 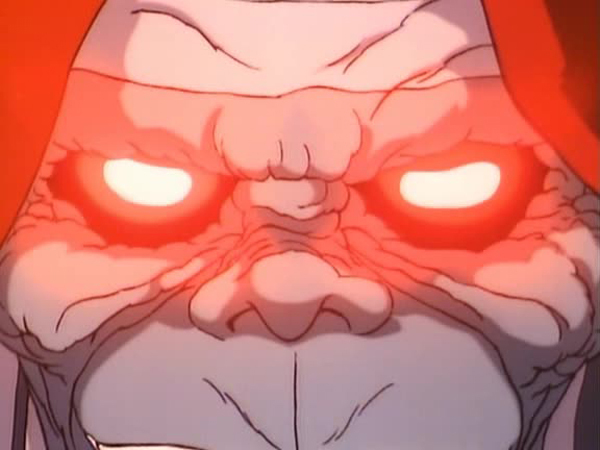 In this brilliant episode, Dennis J. Woodyard reveals the true fate of Lion-O’s father, finally giving the young lord closure on this issue. The episode starts with the introduction of a new character, the Shadowmaster, an ancient megalomaniacal Thunderian wizard who was banished for all eternity to the Shadow Realm by Jaga and Claudus. 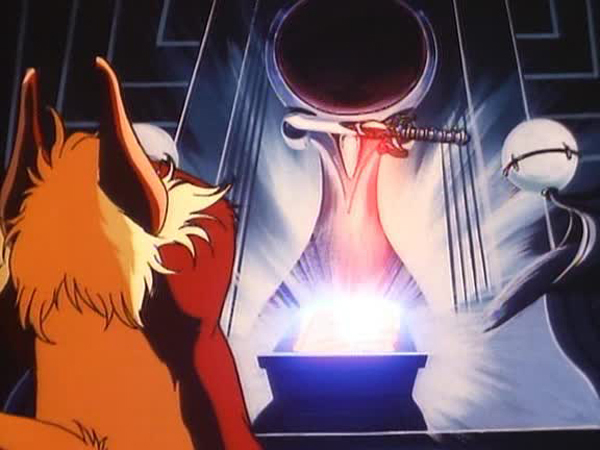 The Shadowmaster contacts the Ancient Spirits of Evil and offers to destroy the ThunderCats if they will free him from his eternal prison in return. The spirits agree, much to the chagrin of Mumm-Ra who sees the Shadowmaster as a competitor who could very well replace him as the Ancient Spirits’ main pet. The Shadowmaster had captured Claudus just before the destruction of Thundera and uses him as bait to lure Lion-O into the Shadow Realm. 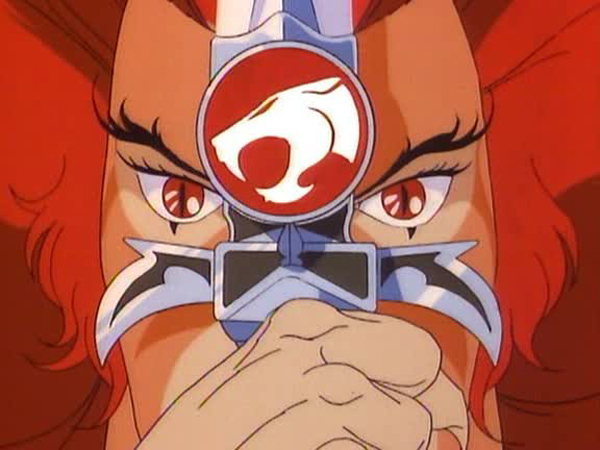 Following Jaga’s instructions, Lion-O uses the Eye of Thundera to project him through the Book of Omens and into the Shadow Realm. Snarf stands guard to ensure that the book and the sword are not separated or else Lion-O will grow extremely weak and remain stuck in the Shadow Realm forever. 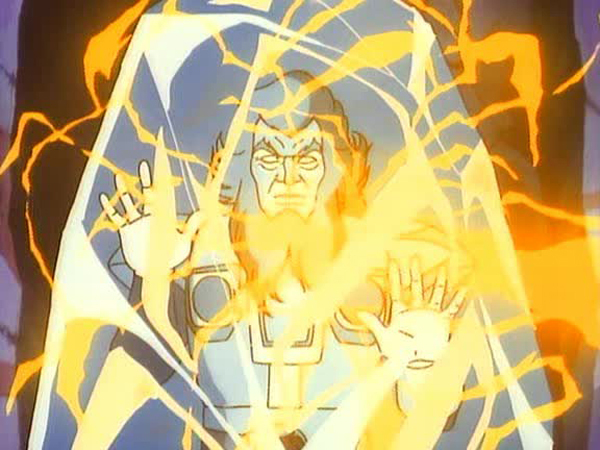 In the Shadow Realm, Lion-O, who strangely chose not to take the Claw Shield with him, is forced to fight the Shadowmaster’s conjured beast using flint rocks. Back at Cats Lair, the Shadowmaster’s Shadowbat steals the Sword of Omens with Snarf still hanging onto it and flies away. With the connection between the sword and the book broken, Lion-O loses his strength and falls to the ground. Just when all seems lost, help arrives from the unlikeliest of places. Mumm-Ra, who has quietly been observing the proceedings in his cauldron, secretly sends Ma-Mutt to throw a wrench into the works. 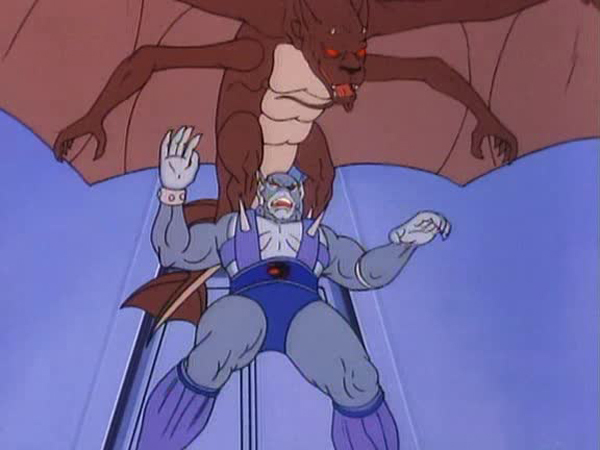 Changing into a giant bat, Ma-Mutt destroys the Shadowbat and carries Snarf and the sword back to the Cats Lair where Snarf quickly reconnects the sword with the Book of Omens. 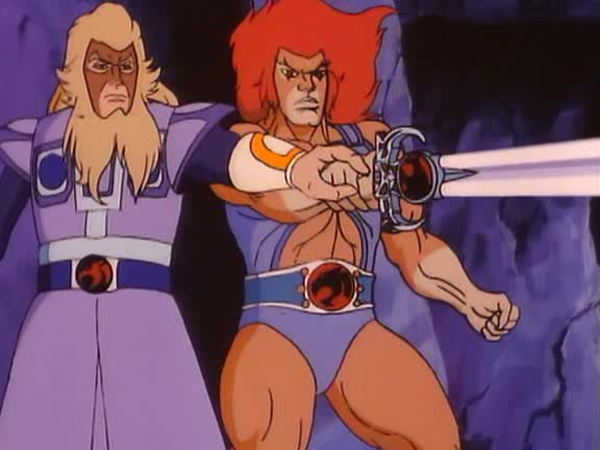 Having regained his strength, Lion-O calls the Sword of Omens to him and he and Claudus use it to trap the Shadowmaster in the ruins of his fortress while they make their daring escape. The father-son reunion, while very short-lived, is gratifying for the audience as well as Lion-O. Unlike the ending of “Return to Thundera” where Claudus is presumed to have died, leaving Lion-O with a lot of sadness, here his departure is a happy one as he goes on to join Jaga in the spirit world. From the animation, to the musical score, to the tight fast paced script, everything about this episode is top-notch. 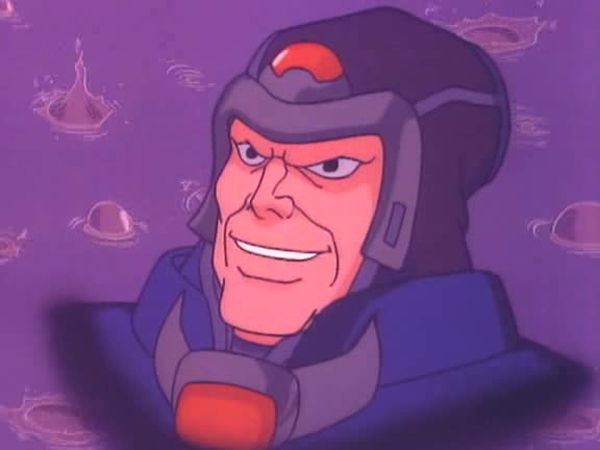 The mysterious Shadowmaster is a well crafted and formidable villain who fits perfectly into the ThunderCats mythos. Even the re-introduction of Claudus is well explained via a series of astronomical and magical events. 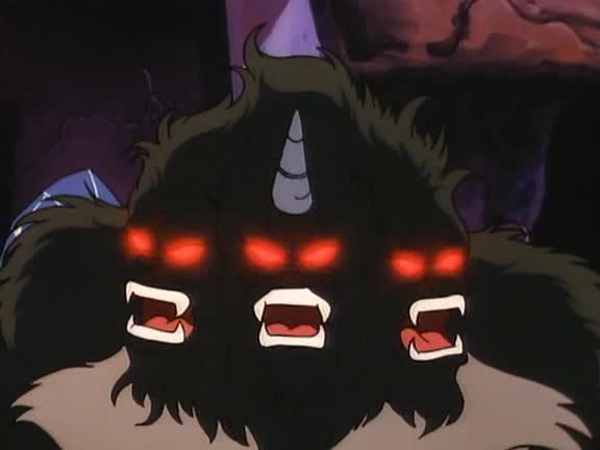 However, the jewel in the crown is the characterization of Mumm-Ra as an insecure and crafty antagonist. 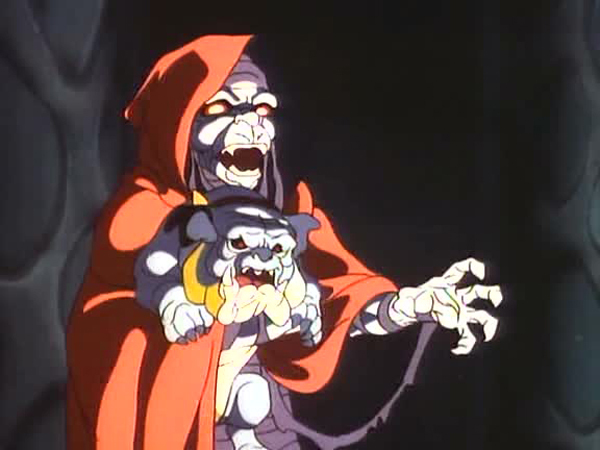 In most episodes, Mumm-Ra has always been the head honcho, terrorizing the Cats as well as his own cronies the Mutants and the Lunataks. With the Shadowmaster threatening to take over his place, Mumm-Ra goes behind the Ancient Sprits’ backs to ensure that his competitor fails. Assisting his mortal enemies the ThunderCats is a first for Mumm-Ra and shows not only his dire desperation but his shrewdness as well, knowing very well that the Shadowmaster could easily prove to be more troublesome than the ThunderCats. 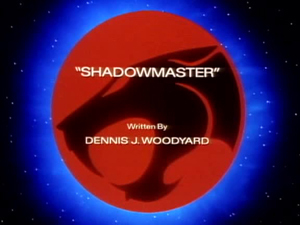 Even though newcomer villain the Shadowmaster fails to impress the Ancient Spirits, debutant writer Woodyard succeeds tremendously in treating the audience to a superb episode. In this episode we get to see a younger Claudus who has a red mane, similar to his son Lion-O. The older Claudus shown in the episode “Return to Thundera” had yellow hair. At the end of “Return to Thundera”, Lion-O remembers Claudus and says, “May we meet again somewhere in time”. 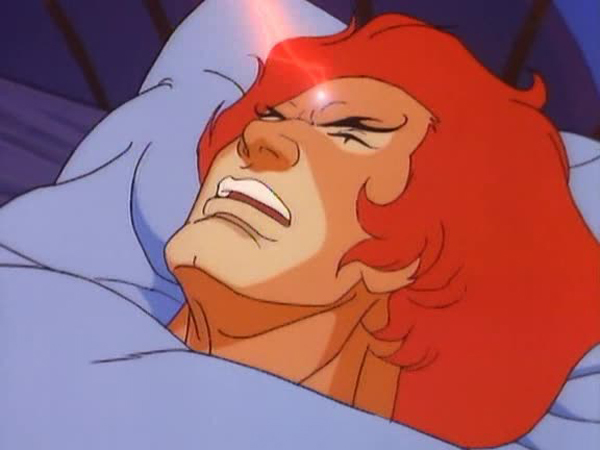 This episode grants Lion-O’s wish and reunites him with his father. Strangely, Snarf fails to recognize Ma-Mutt. Even though the demon dog is in his Ma-Bat form, his face is still that of Ma-Mutt and clearly visible to Snarf. The scene near the end of both Jaga and Claudus’ spirits standing side by side is an obvious nod to “Star Wars Episode VI: Return of the Jedi” in which the spirits of Obi-Wan and Anakin Skywalker are similarly seen standing side by side at the end.